It’s hard to believe that Halloween is just around the corner. It’s that spooky time of year where you can decorate your home and dress like someone you’re not. Instead of spending a fortune on the perfect outfit or costume, you can actually crochet some unique costumes or accessories very easily. 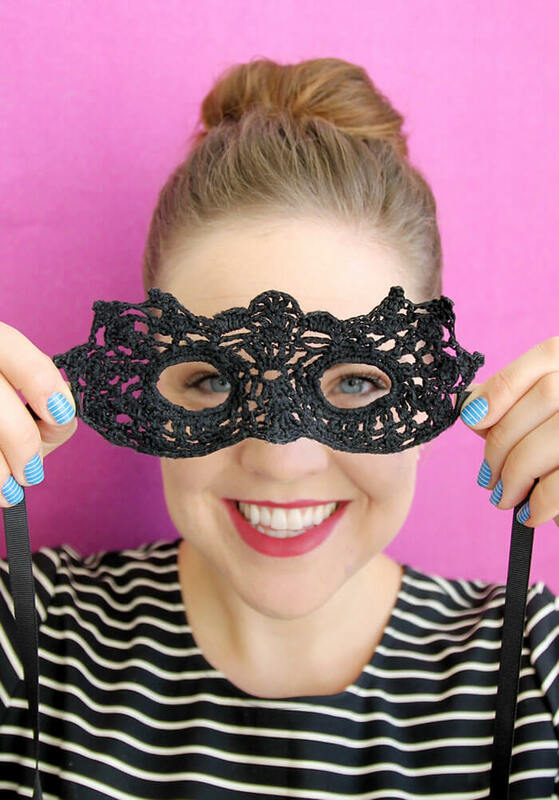 This Lace Mask Free Crochet Pattern is one of the greatest patterns for Halloween. It is a perfect addition to your homemade Halloween costume. You can wear this mask for theater or a masquerade, too. The mask is worked in rounds using single, double and triple crochet. Enjoy. You might also like Adorable Amigurumi Bat Free Crochet Pattern.